Our guest tonight is ELAINE NASH, Founder and Director of Fleet of Angels, a grassroots movement of horse lovers who own trailers and are willing to help transport equines to safety when their lives are in danger. 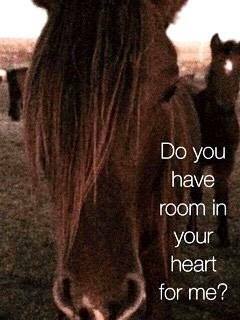 Elaine will talk about how all of us can help to get hundreds of wild horses adopted from ISPMB by Nov. 29th, so that many horses won’t be sold at an auction and into the slaughter pipeline. Elaine will also talk about the recent rescue efforts by Fleet of Angels in North Carolina after Hurricane Matthew. Fleet of Angels provides transportation for evacuating equines from floods, fires, and other natural disasters, organizing post-disaster equine search and rescue missions, coordinating foster care placement, doing equine fencing and facility repair, coordinating hay drive efforts, and offering other services as needed to save, protect, and care for at-risk equines. Fleet of Angels helped to Keep America’s Wild Equines in America, by helping to find homes & transportation for the 10o wild burros that the BLM had planned to ship to Guatemala to become beasts of burden. The Fleet of Angels people really do seem to be angels – thank you.